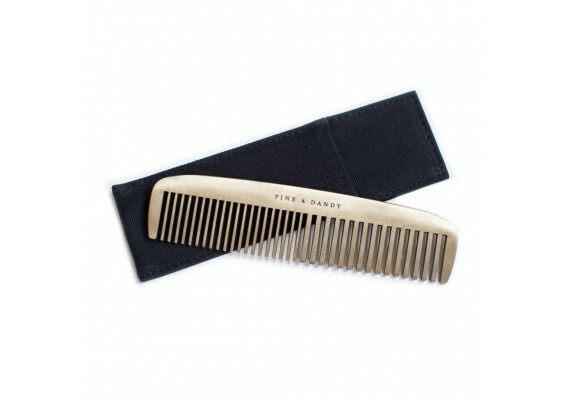 PIET Moodshop | Comb "fine and dandy"
This brass comb will keep your hair fine and dandy. 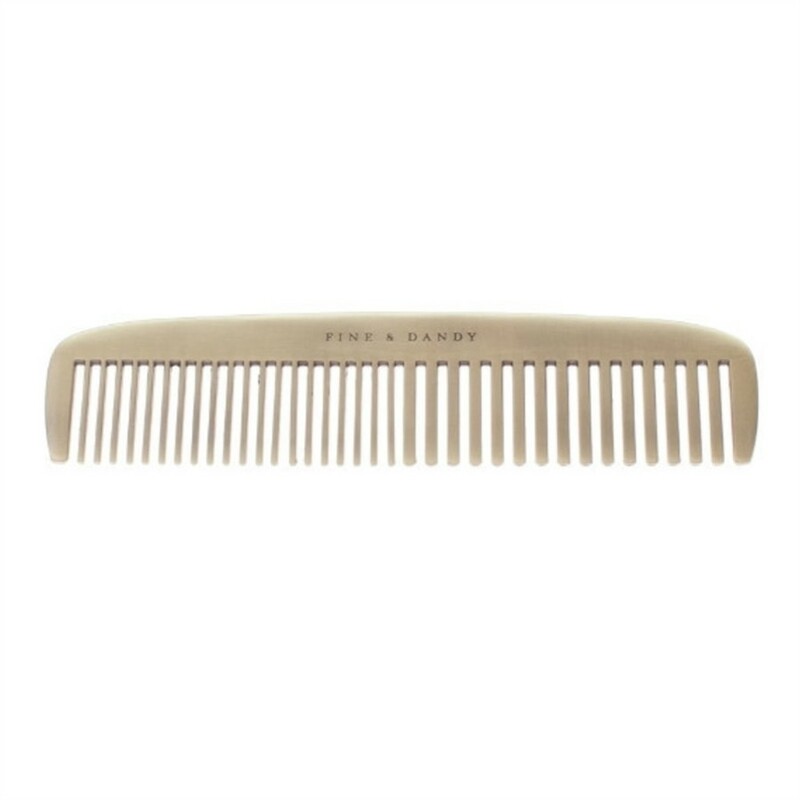 This rugged, solid comb is made to last. In fact, it can be handed down from father to son. 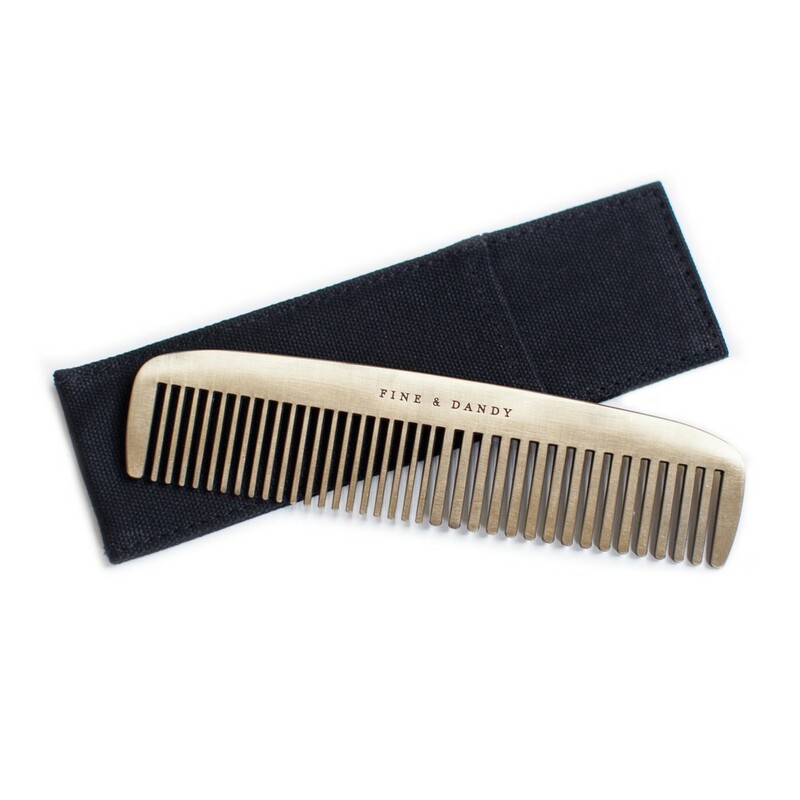 The comb measures 18 x 4 cm and comes with a canvas sleeve for when you&apos;re on the road.